GARDA Special Branch chiefs are sending extra patrols to the Border to combat a feared increase in activity by dissident republicans. Intelligence indicates that a terror campaign is likely to be re-ignited by the dissidents in the first quarter of the year. And the Garda authorities have responded by deploying additional personnel to Border divisions where the Special Branch presence has been scaled down since the peace process settled in. The extra patrols are now being sent out regularly from Special Branch headquarters in Harcourt Square in Dublin to back up local armed personnel in the Cavan-Monaghan and Louth-Meath divisions, particularly. Concerns about a step up in dissident activity stem from Brexit, irrespective of a hard or soft Border, and the release of dissident leaders from prison this year, which is likely to result in the re-organisation of several terror groups that had been in disarray in recent months. The aim of the additional patrols is to increase monitoring of known dissident suspects and make them aware they are under constant surveillance. One senior officer told the Irish Independent the tactics were akin to Gerry Adams' declaration that "we haven't gone away, you know". The officer said that a lot of the focus of Harcourt Square had been in the greater Dublin area in the past few years and that was now shifting back to the Border region as the force generally prepared for a fresh look at policing a land border between the UK and the EU. The more experienced anti terrorist officers are being given an opportunity to familiarise themselves again with the key suspects, their homes and their haunts while officers recruited to the Branch in recent months will be "shown the ropes". The patrolling is being carried out without spending overtime and the units return to Dublin each night or early morning at the end of their shifts. The decision to increase focus on Border counties has been underlined by the car bomb attack by the New IRA in Derry last Saturday week and gardai are determined that the terrorists will not be allowed to provide logistical assistance on this side of the Border for planned attacks on targets in Northern Ireland. This support varies from storing weapons to manufacturing improvised explosive devices and supplying stolen cars. Gardai are also anxious to ensure they establish the identities of those who have been encouraged to either join or sympathise with the terror groups and have no known previous connections with the dissidents, the so-called lily whites. The Special Branch strength will be increased further in the Border area in the next couple of months along with the setting up of a third garda armed support in the Northern region. It will be located at the divisional headquarters in Cavan and will fill in the existing gap between the two existing ASUs based in Dundalk and Ballyshannon, Co Donegal, as the Irish Independent revealed last month. It is also planned to deploy at least half of the next batch of garda recruits passing out from the training college in Templemore to the Northern region. A final decision on how many has not yet been taken. Between 190 and 200 recruits are expected to pass out in the first week of March and, after two weeks leave, they will be deployed at their new stations. The recruits are normally distributed evenly between all of the regions but it is intended that the March output will be largely sent to the Border where they will be stationed at designated training centres, like Dundalk and Cavan, allowing more experienced officers to be available for duties arising from Brexit. 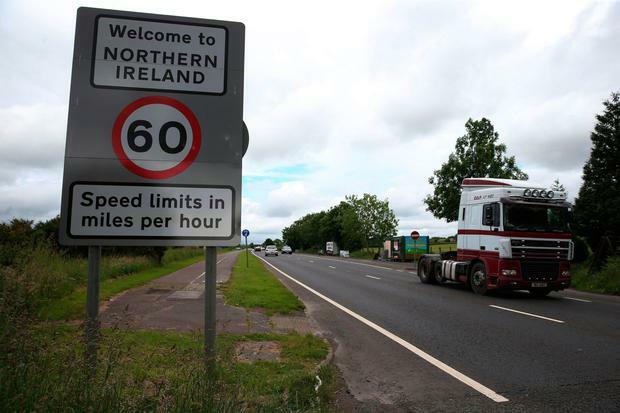 Although the Brexit border issues will be primarily economic and handled by the Customs, gardai say their management of policing there has to change in line with whatever outcome emerges when the UK finally leave the EU.